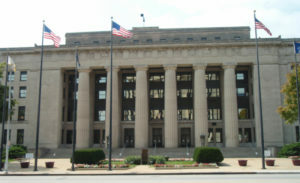 Kansas District Courts are the trial courts of Kansas where all civil and criminal jury trials are held. The District Courts have general jurisdiction over all civil and criminal cases that arise under the laws of Kansas. The Wyandotte County District Court hears DUI cases in which people were stopped or arrested by the Wyandotte County Sheriff’s Department, the Kansas Highway Patrol, Park Rangers or Kansas Fish and Wildlife officers. Felony DUI cases originating in the cities of Kansas City, Kansas, Bonner Springs, or Edwardsville are also heard Wyandotte County District Court. Diversion in Wyandotte County must be applied for early in the process and WyCo has its own procedure. You will have to obtain a substance abuse evaluation. The agency that provides the evaluation will likely be the monitor of the diversion and they will require monthly check-ins and compliance with the treatment recommendations. Misdemeanor DUI cases in Wyandotte County are usually called before the Court on Friday mornings until the case is ready to be set for trial. Your attorney can appear for you on misdemeanor DUI cases in Wyandotte County. Felony DUI charges in Wyandotte County are usually called before the court on Tuesday mornings with the other felony cases until they are set for a preliminary hearing. If you are charged with a felony you will have to make all of the court appearances. At the time of your pre-trial conference, the matter will be set for trial or plea. Your defense attorney will be able to advise you of the exact procedure your DUI case will take through the Court. All evidentiary motions need to be filed within two weeks of the pre-trial conference. Defendants should always be respectful in Court, address the judge as “your honor,” and wear clean and professional clothing. In all Court appearances, it is crucial that you arrive/leave early so that you appear in Court on time. Remove any headwear such as earbuds, hats or sunglasses before your appearances. Arrange for childcare so you do not have to bring your child into Court. Remember to turn off your cellphone and any other electronic device before entering the courtroom. Wyandotte County encompasses the North-eastern area of the state, consisting of Kansas City KS, Edwardsville, and Bonner Springs. Because Wyandotte County is part of the greater Kansas City Metropolitan Area encompassing Kansas City, Missouri, the Court also sees many drunk driving cases involving Missouri residents who are charged in the Kansas City Metro Area. The District Court of Wyandotte County is in the 29th Judicial District out of 31 Judicial Districts in Kansas. Thousands of fans come to the Kansas Speedway to enjoy a NASCAR race or other motorsport event. The track and arena is considered the premier motorsports facility in the Midwest. KCK is also home to Sporting KC and the Legends shopping district as well as a few casinos. However, visitors beware: if you consumed alcohol during an event and are driving home, you could be pulled over by Kansas Highway Patrol. Troopers are trained to look for signs of possible driving impairment such as weaving, speeding, driving too slowly and driving too closely. Designate a driver, arrange for a taxi or uber or figure out another way to avoid drinking and driving because the consequences of getting charged in Wyandotte County are severe.